Forget Black Friday AND Cyber Monday. This holiday season, shop Female Farmer. This 2017 Holiday Shopping Guide features products that range from fiber and flowers to handcrafted leather and cheeses. There are also a few ideas that support women farmers around the world. The #ILookLikeAFarmer 5x7 limited edition notecard series to benefit women in agriculture around the globe. We collaborated with artist Anna Brones for this project - she created four papercuts, inspired by the women from the #FemaleFarmerProject. Proceeds will benefit Kiva Microloans for women farmers in developing countries, and Women, Food and Agriculture Network to support their initiatives for US-based female farmers. These limited edition cards were printed on 5x7 notecards by woman-owned, Girlie Press on recycled paper. They are suitable for framing if desired. Link below to purchase your set, they will make amazing gifts that will give back over and over again. A line of dry meal kits & mixes made from their family farm grown lentils and wheat. Grand Champion Designs is your source for ideal dairy breed artwork and one-of-a-kind apparel. 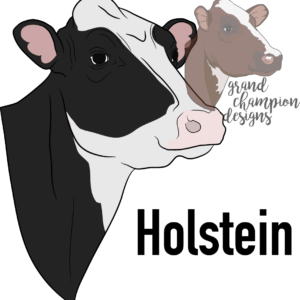 With our selection of high-quality dairy artwork, we are creating original designs for t-shirts, sweatshirts, window clings and so much more! Whether you’re on the hunt for great gifts for your favorite dairy breeder, or an award company searching for a better selection of modern dairy breed artwork, Grand Champion Designs has what you’re looking for. 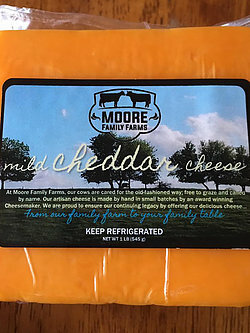 Moore Family Farms is a first generation dairy and beef farm in Jackson County, Iowa. Heather and Brandon Moore and their three young sons raise dairy cows the old fashioned way- each cow has a name and a distinct personality! Cows are milked by Heather twice a day in a barn specially designed for cow comfort, and in all but the very coldest days of the year, the Holstein dairy cows spend their days outside in the sunshine. The Moore family also raises beef cattle, pigs, chickens, and a very friendly goat named Charlotte Elizabeth. This boutique is a subsidiary of the blog Meet Your Beef and was created as a place to share hand-picked products for the passionate, fun-loving AgVocate in us all. Join us on our mission to help others understand where their food comes from. We hope you enjoy your shopping experience! I make fresh and aged cheese made with local cow's milk in Rockport Maine. I've been working out of leased space since 2011 and will move into my own creamery on my farm Waldoboro very soon. (And the pastured pigs we raise are fed the whey.) I ship nationwide. I'm a mom and running the farm! My husband and I own ten acres of beautiful countryside where we live alongside our son and daughter, and our corgi Annabel. We are dedicated to bees, sheep, an organic vegetable garden, fields of herbs, fruit orchard, forested woods, woodworking, and chickens. I'm an avid gardener who's former life was in forest ecology & management. Currently raising a family and running the family business of "bees, baas, and buds". Thank you for supporting our farm! Original designs by two young Alaskan fishermen, born and inspired by the wilderness of Alaska and the sustainable fisheries of the North Pacific. Salmon Sisters products are designed and created in Alaska, inspired by nautical tradition, and made for a community of fishermen, adventurers, and ocean-enthusiasts. Salmon Sisters strives to make their garments the ones you dress up and dress down, get dirty and wear holes through, because they’re just too cool and comfy to take off. For every sale we make, Salmon Sisters donates a can of wild Alaska salmon to the Food Bank of Alaska. 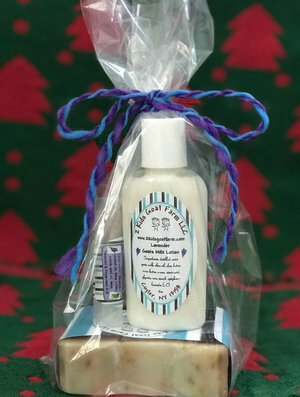 Treat yourself and others to luxurious goat milk soaps, shampoos, balms, and creams. All made lovingly with products grown on the farm. Growing Things Farm has been making soaps for over 20 years and we think they're pretty awesome. Our line of balms and creams are just as amazing and are excellent for your skin. Infused with just the right formula of herbs to help your skin heal you'll find just the right one for you or as a gift for that special someone. Oh yea!!! We have jam too! F&S is a work of adventurous urban food production. Put simply, we aim to share fresh flavors - some you know well and some you've yet to experience. Our dual focus on cultivated and foraged produce allows us to bring a broad range of herbs, fruits, greens and roots to the Clintonville Farmers’ Market and restaurants. We minimize food waste and create business sustainability by drying harvested herbs for processing into teas and salt blends. Select teas, salts, and preserves are now available to order in our online store. We are thrilled to work with Audra Mulkern of the Female Farmer Project carrying this super-soft tee with their logo imprinted on the front. 30% of the proceeds go back to the Female Farmer Project to help support their podcast featuring women farmers from around the globe. Be sure to give them support and a listen! Sustainably made in the U.S.A, our farming tees are printed with eco-friendly ink and thoughtfully, responsibly shipped. Support your love for local food, female farmers and organic agriculture today! Unisex tee fits both guys and girls. 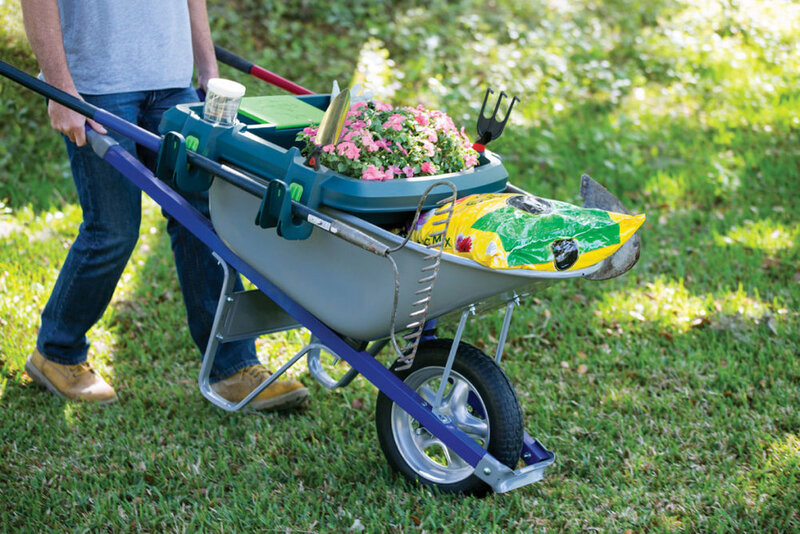 The Little Burros provide innovative solutions to your everyday garden and lawn problems. We pride ourselves on creating quality, helpful, innovative tools, to help everyday people just like us. Owned and operated by the Thorsen family, the Little Burros are made in the USA and are a certified Small, Woman Owned company in the state of Virginia. We are proud to be USA made and family operated! Lucky 3 Farm Candle Co.
Lucky 3 Farm is a small, veteran-owned family farm in Louisburg NC. We boldly believe every animal that is sacrificed for the nourishment of our minds and bodies should be honored. As part of our farm’s Zero Waste Project, we created some incredible all-natural products from the byproducts of our livestock - ensuring nothing is wasted. Lucky 3 Farm Provisions was born - producing all-natural soaps, balms, and candles. Good for you and good for our earth. Hi, I'm a farmer's wife from north central Iowa. I love everything about living on the farm! Operating the combine during harvest season. Gardening in my vegetable and flower gardens. Playing with my grandchildren in the big open yard and teaching them about things on the farm. 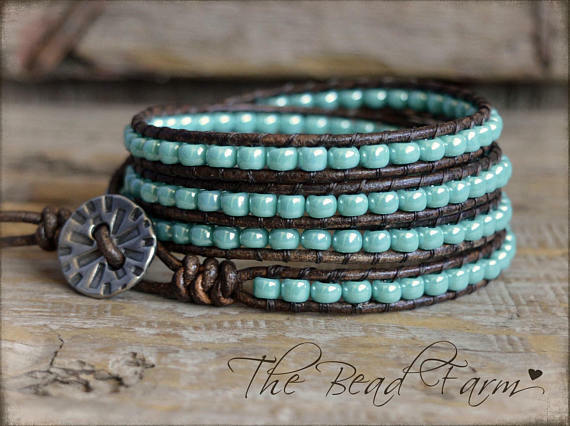 And now there's something new to love on the farm- beading! I am hoping "the Bead Farm" will supplement our grain farm a bit until at least the farm economy corrects itself. I'm also hoping to meet some new friends along the way. 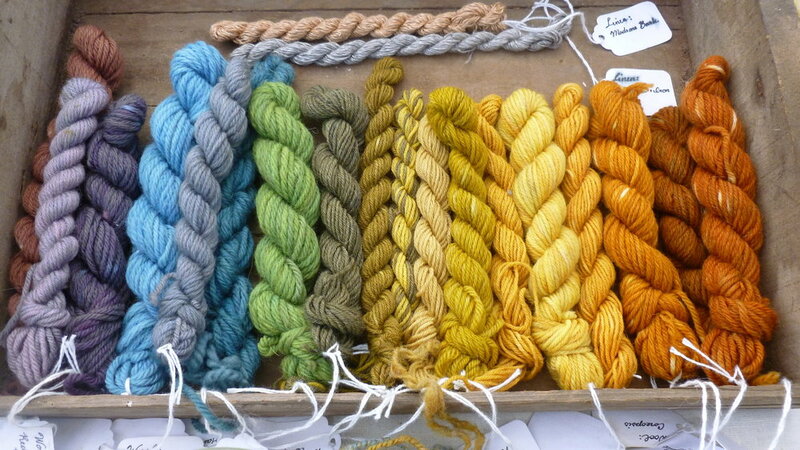 Functional handmade goods from the farm. I have been a busy bee pouring candles, stitching leather, and readying the farm for winter. More items are being added daily. You'll find many of the writer/contributors are from the Female Farmer Project community! Our farm is a small family run farmstead in Kittitas Valley, Washington. Our focus is multi-species rotational grazing to produce nutrient dense eggs and grass-fed meats. What does that mean? It means we move chickens, turkeys, sheep, and cattle around on pasture in a way that promotes the health of the soil and in turn the health of the animals. Our land is never sprayed with chemicals of any kind and our animals are never fed hormones or antibiotics. In addition to pasture raised eggs and grass-fed meats we grow heirloom tomatoes with the nitrogen rich manure our laying hens provide us and keep beehives for the health of our gardens and to provide local honey to our community. Our Icelandic sheep have beautiful fleeces that we turn into both yarn, batting, and lambskin rugs. Building community and meeting the people we raise food for is one of the best job perks of being farmers. Don’t hesitate to ask about our other farming practices. If women farmers had access to the same resources as men, more than 150 million additional people would have enough food to eat. We aim to make that a reality. Your gift will provide support for women's groups, training in gender equality and the means to send girls to school. Help empower women around the world to reach their full potential. Women farmers are the backbone of our agriculture system worldwide who are uniquely tasked with farming, family and often a job. Let's help ease the financial burden. the people who grow our food. Who’s going to get the farm? And what are they going to do with it? Will your future plans for your land create harmony or strife for your family? Or have you even started to think that far ahead? Map of My Kingdom, a play commissioned by Practical Farmers of Iowa and written by Iowa’s Poet Laureate Mary Swander, tackles the critical issue of land transition and how it has become a major issue throughout the United States today. Dried botanicals, evergreens and berries, and greenhouse-grown flowers designs. Our mission at Six Forty Homestead is to create safe, natural, chemical free products for body care and the home. We are a small farm located in the rolling hills of Hampshire, Tennessee. Welcome to Burlap Bovine-- your farm to fashion one-stop-shop! Let Burlap Bovine help you differ from the herd. Burlap Bovine offers accessories for in the barn or on the town, including jewelry and other cute cattle accessories. And the best news is you don't have to wait until the cows come home to visit again! Meanwhile-- back at the ranch, we can custom brand any hair on hide item in the shop! Please select "add custom brand" and send an Etsy conversation to the owner a photo of your custom brand for customizable hair-on-hide pieces. All brands are duplicated free-hand and created with love to help you share your ranching heritage story! Why "Fat Chance"? Our products are made with tallow from grass fed cows and lard from pastured and forest raised pigs. By putting these often overlooked and wasted animal products to use we are truly "giving fat a chance"! We're a small family farm nestled in the hills of Central New York. At 2 Kids Goat Farm, we milk our goats and cows daily and produce a variety of fresh and aged cheeses from their rich creamy milk. We choose to alternate between goat and cow milk depending on the time of year, to make sure everyone gets a break. We also make our own goat milk soaps, lotions, and lip balms, which are as good for your skin as our hand-crafted cheese is for your tummy!